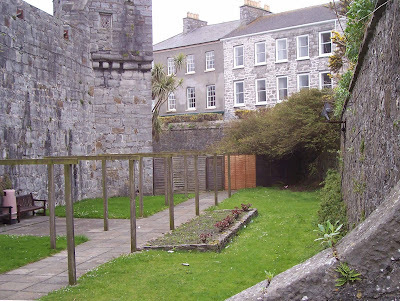 Castle Rushen sits on the banks of Silver Burn, over looking Castletown Bay. The castle is a fine Medieval structure built on the site of a Viking fortified site. The castle has some stone work dating from the 12 century, but most of the surviving structure is dated from the late 13th century, right through to the 16 century. The Round tower and the Derby house (not pictured) date from the 16th century.Between 1813 and 1827, the keep was used as a prison. A large scale restoration project was undertaken in 1910, to restore the castle as mush as possible. 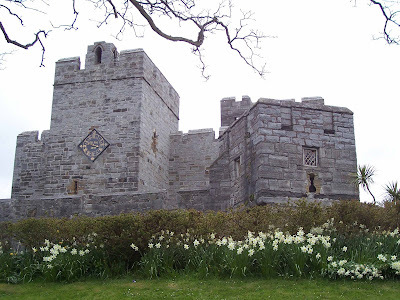 The result is one of the finest preserved medieval castles in the British Isles. The base of the keep walls are reputedly 12 feet thick, tapering to 7 feet at the tops. The whole castle is surrounded by a 25 foot high curtain wall, over 7 feet thick in places. Towers have been placed at irregular intervals, to provide good line of site in the event of a siege. The castle is open to the public between the months of April and September. I recently read about the Isle of Man annual TT race just about the time I was planning on doing an entry on my blog. This is a little more informative on a human scale. I think most people like to read impressions of a site not just facts, dates and strata.